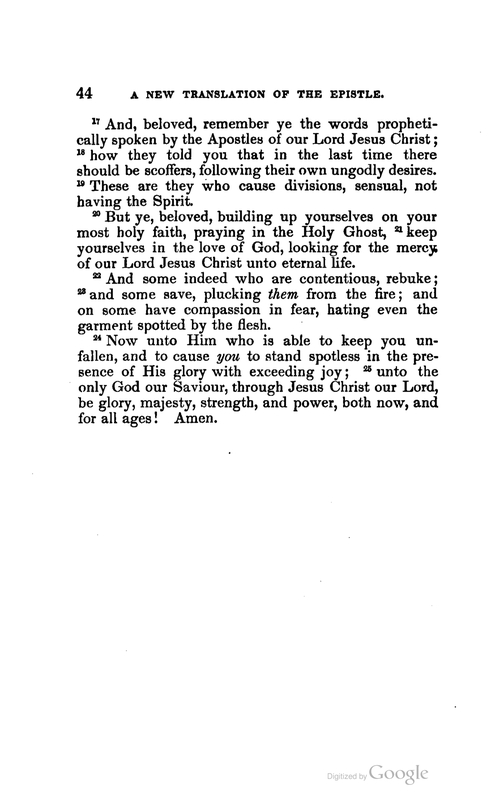 Title: The Last of the Epistles; A Commentary upon the Epistle of St. Jude. 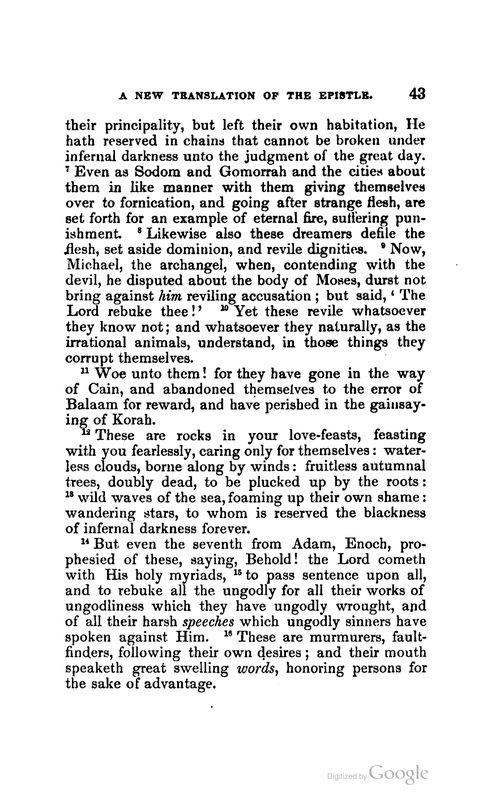 Designed for the General Reader as well as for the Exegetical Student. 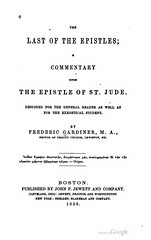 By Frederic Gardiner, M.A. Rector of Trinity Church, Lewiston, ME. 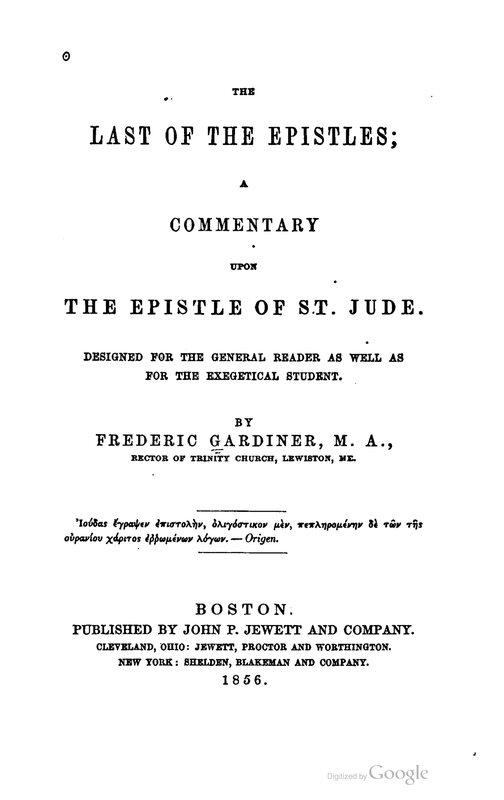 Contents: Commentary on the Epistle of Jude with a new translation. 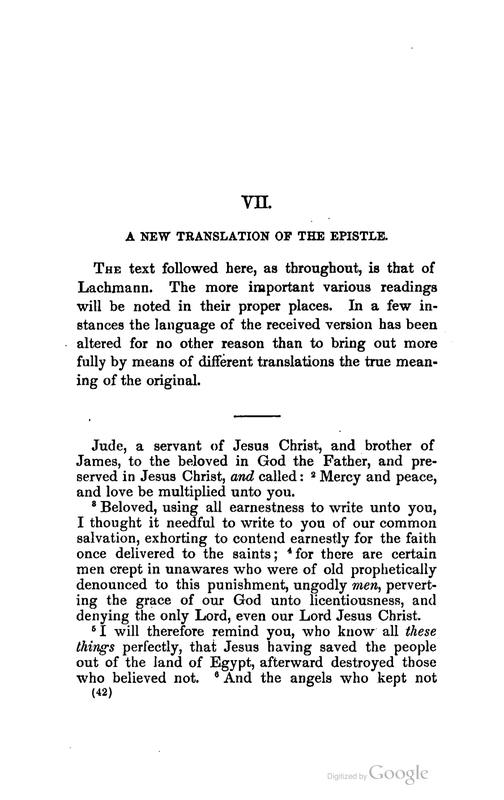 Images: Title page, page 1 of translation of Jude, page 2, page 3.